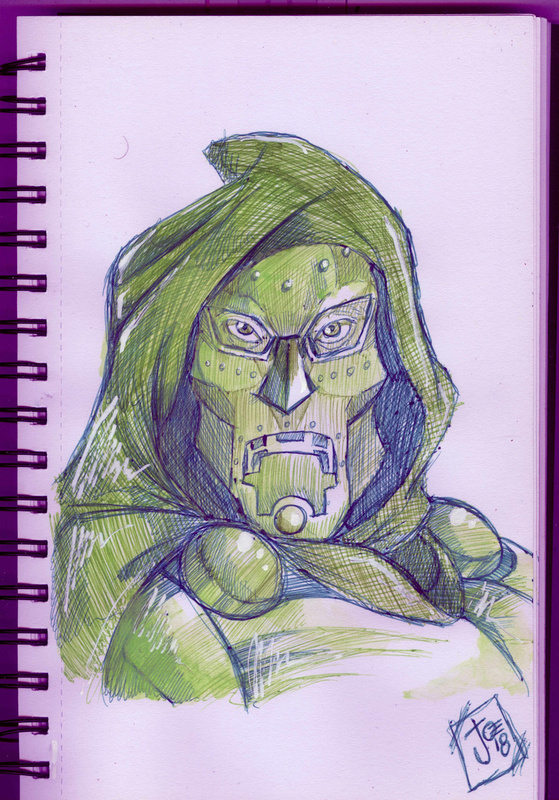 if marvel studios ever gets the chance to reboot the fantastic four....yeah, i'd love to see what they can do with doom. the marvel "formula" is changing, black panther and infinity war are evidence of that, so yeah, i am sure they can finally give us the victor we always wanted to see on the big screen. You did that with PASTELS?! Just make sure you wash your hands good after you use them cause they dry out the skin like nobody's business! i only used pastel for the last tones, the pic itself was done with pen, gel pen. and i used a water brush to apply the pastels, a lil trick i learned. A water brush to put the pastels on! Hmmm...never heard of that..gonna have to try it out!